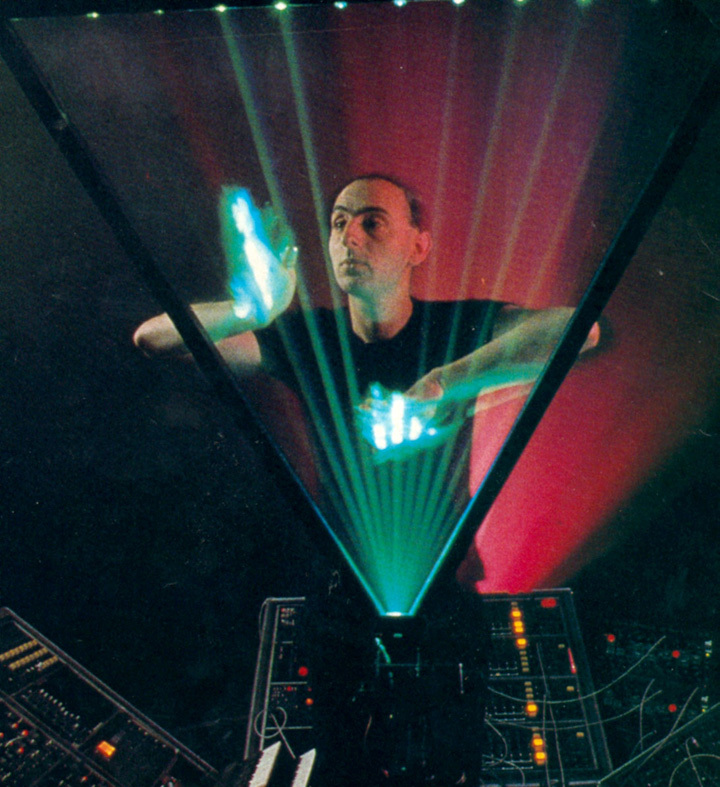 Bernard created in 1980 the first laser harp that he called Syringe. That instrument reverted the classic relationship between light and music, where the light is slave and music is master. With this new instrument light and music work together. Audio and lasers are in a unique relationship. The Laser Haro has a great success, and a famous french composer, Jean Michel Jarre, asks Bernard to build one for him. 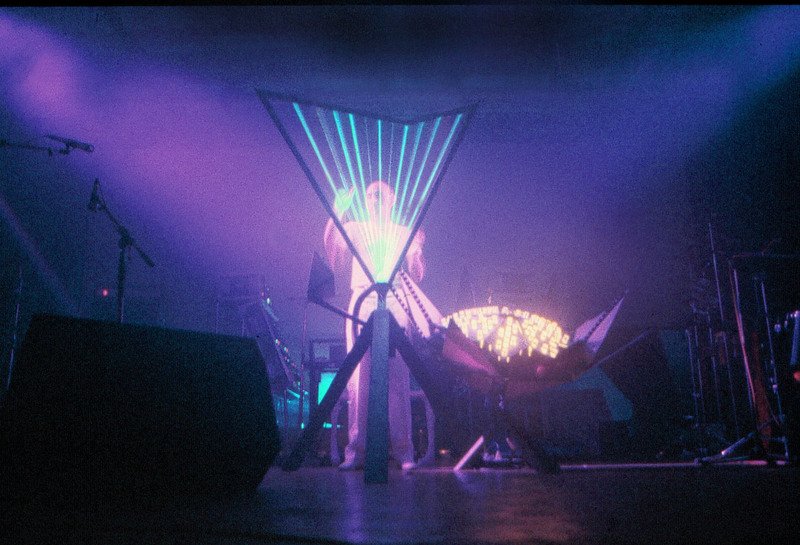 Despite the success of the instrument, Bernard used it few times in his performances, since he's ever been more interested in new visual performances than being involved only in the laser harp, at the risk that the instrument could overcome its artistic work.